One remote works with all undertable LED lights. 16 different colors or 1 solid color. 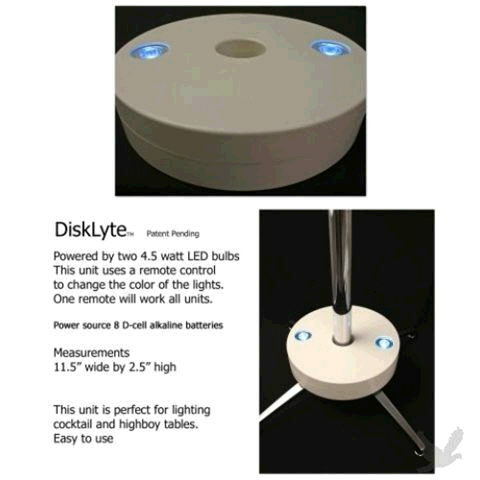 11.5" W x 2.5 T, inner diameter = 2-1/8"
* Please call us for any questions on our led undertable disc light with batteries rentals in Ft. Wayne IN, Warsaw, Syracuse, Auburn, South Bend, Indianapolis IN.